“I can’t do this anymore…this is ridiculous! I’ve given all that I can give, done all that I can do… and yet people are still looking at me as though they simply do not have a clue! I am on zero! My bank accounts are in the negative… I have to surrender my vehicle… I’ve lost every personal possession… my jewelry is in pawn… I have nothing left to give! I don’t need this…. I have a life waiting for me back home… I’m outta here… y’all can ‘fin for yourselves… I’m taking my behind back to work!” May 15, 2010 was and is the last time I spewed such dark, morbid thoughts of defeat out of my mouth. Eight months prior, I had received a phone call while getting ready to go to work, requesting that I return home to Philadelphia immediately, for my mother was in the hospital – intensive care unit – and things were not looking good for her. At the time, I had been living in Maryland, living a typical, comfortable, suburban life – working full time for one of the top, most affluent, cable networks – The Discovery Channel, while running my own television and video production company Root Branch Productions. I lived in a beautiful house, drove a nice car, earned an attractive income, and my business was doing well. Life was good and I had no real complaints. When I arrived at the hospital in Philadelphia, and laid eyes on my mother, it was at that moment I knew that I would not return to Maryland – at least not to the life, as I once knew it. I had been given a new mission – a new assignment. God had placed it on my heart to walk away from it all – and take care of my mom. After one month in the hospital, God had healed my mother, and blessed her with the opportunity to return home. During that month’s time, I had transitioned out of my job of five years, sold all of my furniture and moved the rest of my belongings to Philadelphia, back into the home I grew up in. Caring for my mom, and all of the tasks that came with her were the easy parts… Going from a town house in suburbia USA to a cramped row house on the hood streets of North Philadelphia, living with a bunch of people dead to the world around them, became the beginnings of my struggle. Within my own home, my family subscribed to the same dead mentality, as such, leaving all of the cares of my mom and the household to me. I did everything, managed all of my mother’s needs, cooking, bathing, dressing her… preparing her medications, checking her vitals daily (temperature, blood pressure, glucose levels) and managing/accompanying her to her various medical appointments. To God be the glory, my labor of love did not come back void! Today my mother is healthier than she has ever been. She’s regained some of her independence and now that she is doing better, I now have the flexibility to really work and grow my business. One small issue though… during this period while mom was getting better, my world was falling apart. I had depleted all of my savings, business was extremely slow and all of my bank accounts were in the negative. I couldn’t maintain rent on my office spaces and I needed to surrender my vehicle. I was at a crossroad and some hard decisions needed to be made. Looking at the situation on paper, I thought I knew what needed to be done. As it appears to me, time is up… I need to close the office, move back to Maryland and go back to work. I was sick… I went weak… and from the beginning of his sermon, to his very last words, I cried, I moaned, I bellowed through the entire message. I had never had such a spiritual experience. It felt like God was purging me… and when I was done, I was literally exhausted… my body trembled all over. That message on that day, Sunday, May 16, 2010 was intended for me. God told me himself – that we do not quit! “Even if you wanted to quit… I won’t let you quit!” I received what he had spoken on to me and from that moment forward my life has not been the same. New opportunities have since presented themselves, not only allowing me to maintain my office in Baltimore and now in Philadelphia – but has created additional opportunities for further expansions including our newly launched youth program – Root Branch Kids, where we move children from idle time watching TV to creative time learning how to produce TV. This experience has witnessed to me. When you do what is right, what God has commanded us to do… and when you put him first in all things – – there is no good thing that he will keep from us. God is just that awesome! 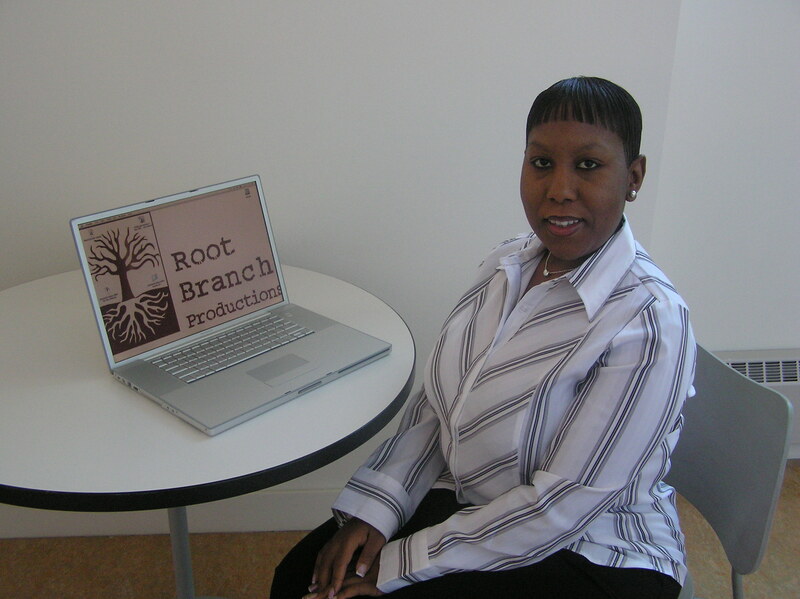 Philadelphia native, Vonnya Pettigrew is the President and Executive Producer of Root Branch Productions, LLC, a full service television and video production company with offices in Baltimore, MD and Philadelphia, PA. She resides, commutes and manages workflow between both locations on a daily basis. Along with running her own company, she has earned an excellent track record in more than a decade of professional media production experience with networks such as Discovery Communications, TV One, Disney and Starz. Ms. Pettigrew has a B.A. in Communications from the University of Maryland College Park with a concentration in speech writing. She is a former White House Intern from President Clinton’s 1999 speech writing department. She is a distinguished, award-winning Toastmaster, public speaking instructor, and creator of Speak Easy, a public speaking course for beginners. Additionally, as an instructor, Ms. Pettigrew established Root Branch Kids, a program that teaches middle school-aged children the art of television and filmmaking. This program is currently being taught at a charter school in Philadelphia and offered on weekends as a youth development program. Ms. Pettigrew is a children’s book author. Her first book series entitled Lil’ V in Philly, is currently being shopped for publication by literary agent Nine Speakers, Inc. When Ms. Pettigrew is not writing or producing top-notch programming, she enjoys recreational photography, spending time with her family and mentoring young people. She looks forward to reading her books to her own children someday. I love this article! Thanks Vonetta for this wonderful piece! Vonnya, your resilience is incredible! Thank you for sharing your story. I feel stronger after reading all that you’ve been through. Talmeedah, wasn’t this a great article? 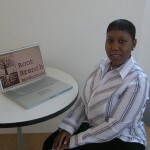 The very talented Vonnya was my public speaking instructor at MALT. GOD IS CERTAINLY AWESOME! When we need an answer, we only need to call on Him, and then look for Him to answer us in any way imaginable. I am both blessed and encouraged by your article. I am grateful to God for meeting you at your point of need. I thank God for allowing me to speak into your life and make a difference when you needed it most. TO God be the Glory! I am proud of you for the sacrifices you made for you mother and rest assured that your labor of love and sacrifices will not go unrewarded!